Pepperfry is here with a great deal offering Tupperware Executive Flat 180 ML Bowl – Pack of 1 at Rs 69 only. 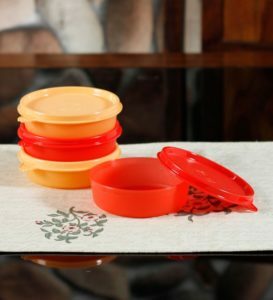 Simple yet very effective, these products by Tupperware are a must have. Grab it Now..!! How to Buy Tupperware Executive Flat 180 ML Bowl?